It got me wondering. Actually pondering on BART as I made my trip to my house this first spring evening. I didn’t see it get on the train. I only saw a small brown flash out of the corner of my eye. Searching, I spotted the small brown moth as it frantically fluttered around the train compartment trying desperately to escape. Briefly, I glanced at nearby passengers to see if they too noticed the anxious little moth. Alas, no one shares my care. Lost are they in their intimate conversations. Too involved are they in their musings or mobile devices to notice a small distressed insect. I watched it find a perch and place to rest. Then lost it when we arrived at the next station as the doors opened allowing passengers to go to and fro. After the doors closed and the new passengers settled, I found it again. I tried to follow the little moth with my eyes as it quickly fluttered around the compartment smashing into the wall of windows and doors. From station to station, it continued the pattern of rest and flutter. Until finally, at the North Berkeley station, the moth left it’s perch, fluttered about then quickly found its way through the open doors before they closed once again. 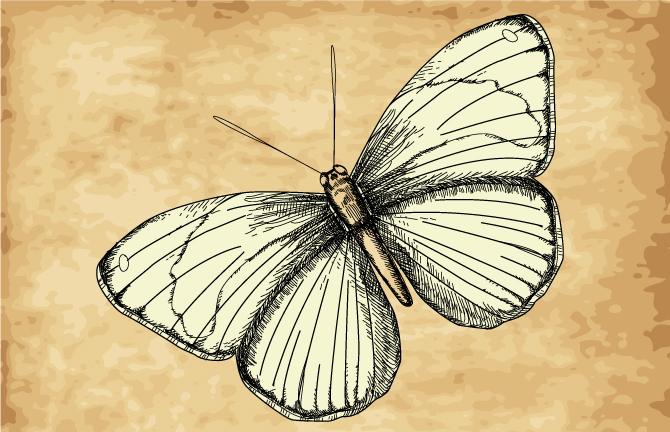 A sigh escaped me and I felt myself relax a little at the idea of the little moth’s quick escape to freedom. Thus began my pondering. What, I wondered, does the moth do so far from where it entered the train possibly so far from home. Actually, I realized, suddenly, that I wasn’t sure how long it was on the train before I became aware of it. Remembering that I noticed the small brown moth after leaving the MacArthur station. Possibly, it could have been on the train much longer than I initially thought. Either way, I knew it was miles away from where it got on the train. Unlike us, I figured it didn’t stop and look at the signs to see where it landed. I wondered if the moth would make and new home at or near the North Berkeley station. Or, wondered I, would the little brown moth begin a long journey home. How long would it take? Could a small moth even make such a journey? How long do moths live? These were all questions I pondered. But now it’s gone and my journey nears its end. My mind turns to other things. What a wonderful interlude, Tumikia. I love your focus on the moth. Just as the passengers didn’t notice the moth, I didn’t give a second thought to the passengers. 🙂 I like your literary voice very much. I also love the graphic. I wonder what that moth is doing right now….